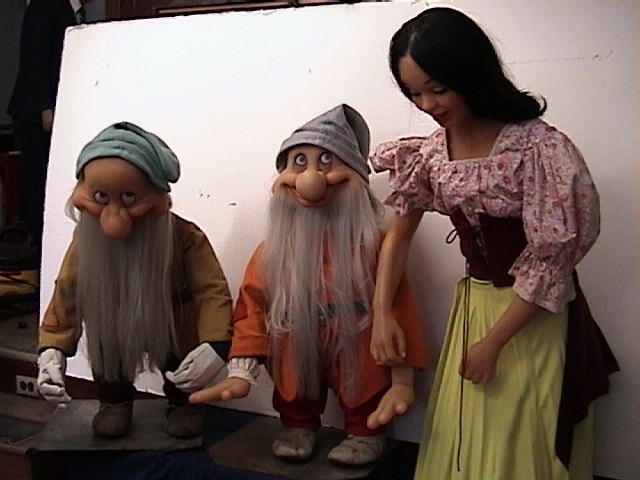 Here is Snow White and 2 of her dwarfs. Their hands and heads are made out of wax. Their clothing is in good condition. These 3 figures would look great with your Disney collection.